The quality of a relationship depends on the nature of this inner feeling behind outer speech and behavior. If it is good and sincere, the relationship remains warm and genuine, even when there is no outer contact or relationship in the form of talking, joking or laughter …. and the social courtesies like “good morning” or the material gifts we give to others are not mere empty or formal things but a spontaneous expression of the inner feelings. But even when such kindly outer gestures are not there, it doesn’t affect the inner feeling because we understand each other. But when inner feelings are uncharitable, openly or aggressively or remain in a subtle, mute and suppressed form …. Like for example anger, dislike, scorn, irony, sarcasm, resentment, disapproval, disdain, superiority or derogatory comment, … Then the relationship inwardly breaks down and no amount of outer gestures of friendship and benevolence can restore the relationship. A relationship which begins with a good inner feeling may breakdown later because of darkening of the feeling created by misunderstanding or conflict or negative influences from outside like listening to gossip, criticism, slander. And the feelings are contagious. Negative feelings in me can induce a similar feeling in the other person and destroy whatever good feelings I have for him. It is not easy to hide the inner feelings. It becomes visible in the face, eyes, the way we talk. Even someone with a little bit of inner sensitivity can sense it. We sometimes complain about a person that he is uncommunicative and indifferent to our questions or our attempts to relate with him. But we don’t ask whether it is due to something negative or insincere within us. For example, we ask questions pretending to know, when we have already formed definitive conclusions and judgments about it. How to set right uncharitable feelings? There are practical guidelines in the writings and conversation of Sri Aurobindo and The Mother. The first step is to not to identify with the feelings…. Inner attachment from the feeling and observe it as a witness…. And not to allow it to influence or drive our thoughts, judgements, speech, behavior or action. The second step is the non-judgmental attitude…. acceptance of the person as he is without judgement…. with an enlightened humanity which knowns that it doesn’t know the entire truth on the inner being of a person and the judgements based on the appearance, nature and character of the surface being can be very faculty. This attitude can considerately reduce or minimize hasty or uncharitable judgement which in turn has a positive impact on the feelings. The third step is to cultivate the opposite which means, as the Mother describes. 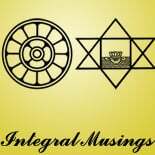 This entry was posted on March 27, 2019 by integralmusings in Harnessing the Human Potential, Integral Management.